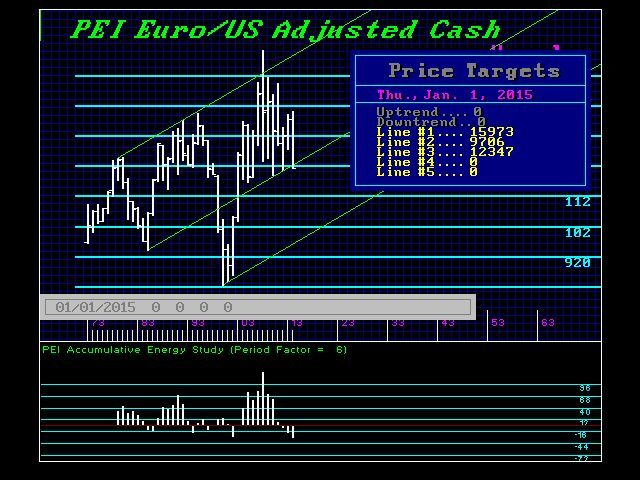 Many people have asked is the max par for this year on the Euro? Yes. We have technical support at 9706 level for 2015. We have Yearly Bearish Reversals are 11645 and 10365. So the 116 level will remain as reactionary resistance this year and the 10365 level is key support just below the current low of 10460. So correct. We have stated previously that PAR is the best we should see short-term. Breaking to 80 level is long-term. The trading range near-term is Par to probably 116-117. The 140 level is the extreme max that says this is what must be exceeded to turn bullish.